The Rainforest Information Centre is launching a CROWDFUND to support Ecuadorean NGO’s to mobilise and to mount a publicity and education campaign and to help advance a dialogue throughout Ecuador and beyond: ‘Extractivism, economic diversification and prospects for sustainable development in Ecuador’. · The World Bank who funded a project which collected geochemical data from 3.6 million hectares of Western Ecuador including seven national protected areas and dozens of forest reserves thus doing the groundwork for the mining industry. · The international governments and NGO’s who funded the creation and upkeep of these Bosques Protectores and indigenous reserves and other protected sites and who now need to persuade Ecuador to prevent their good work from being undone. John Seed is founder and director of the Rainforest Information Centre in Australia. Since 1979 he has been involved in the direct actions which have resulted in the protection of the Australian rainforests. In 1984 he helped initiate the US Rainforest Action Network which grew out of the first his many US roadshows. With Joanna Macy, Pat Fleming and Professor Arne Naess, he wrote: "Thinking Like a Mountain - Towards a Council of All Beings" (New Society Publishers) which has now been translated into twelve (12) national/international languages of various countries. He is an accomplished bard, songwriter and film-maker and has produced many albums of environmental songs and numerous films. He has produced/co-produced various documentaries, shown in the international media networks of many countries. He has created numerous projects protecting rainforests in South America, Asia and the Pacific through providing benign and sustainable development projects for their indigenous inhabitants tied to the protection of their forests. These projects have been funded by the Australian Government aid agency AusAID, The Australian Council of Churches and various foundations. Donations to Rainforest Information Centre projects are tax-deductible in Australia, US and UK. From 1984 to 2007 he travelled around the world each year with roadshows raising awareness about the plight of the rainforests and raising funding for their protection. In 2007 he launched the Rainforest Information Centre's climate change campaign and has offered "Climate Change, Despair & Empowerment" presentations and workshops in Australia, Canada and the US. 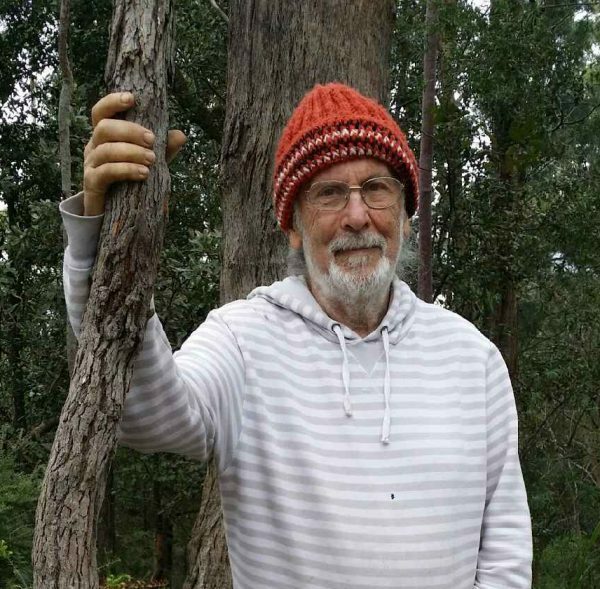 He did lecture-tours and initiated campaigns enormously for rainforests, indigenous communities, mountains and ecology in many countries as USA, UK, Australia, New Zealand, India, Kenya, Cambodia, Korea, African Countries, European Countries and other.